The Israeli navy has sunk or seized ships of Cyprus, Panama, Australia, England and Honduras on the high seas, killing or kidnapping their passengers and crews and robbing them. A group of local lawyers, writers and human rights advocates in Jerusalem joined efforts as the Committee Against State Terrorism at Sea, in order to collect and disseminate information about the legal and human rights issues involved in at least sixteen confirmed cases of Israeli sea hijackings in the past five years. The Case Studies in this chapter detail the shocking acts of piracy and terrorism committed by the Israeli navy at sea, including acts of murder and robbery. All the facts in this chapter are extracted from State Terrorism at Sea: A Preliminary Report on the Case of Israel, by the Committee Against State Terrorism at Sea, Jerusalem. Based on the information that the Committee has so far been able to gather and verify, well over one hundred persons have been, or are still, in Israeli gaols as aresult of its unlawful seizure of maritime vessels in international waters. According to official Israeli accounts, in most all of these cases, those abducted and imprisoned have neither committed, nor intended to commit, any action against the State of Israel. Some of these detainees have been held incommunicado for periods of three to eighteen months. Some have been imprisoned and expelled without trial; some have been tortured. Much of the data compiled for this report is the result of meetings and interviews with detainees. These testimonies have been gathered by lawyers or from fellow detainees, including Faisal Husseini, Director of the Arab Studies Society. Mr. Husseini was able to interview victims of Israeli State Terrorism at sea while being held without charge in Israeli administrative detention from 13 April to 9 July 1987, six weeks of which time was spent at Ramlah prison, where thirty-seven sea kidnapping victims were also imprisoned. Additional factual sources include the charge sheets submitted by the Israeli military prosecutor to the court. Vital legal research and painstaking investigation into most of these cases was conducted by attorney Walid Fahoum. References to alternative sources of information are cited within the following text. In September, 1987, participants in the United Nations Fourth International NGO Symposium on the Question of Palestine, meeting in Geneva, Switzerland, condemned this Israeli policy and called for the world community to confront the problem caused by Israeli violence against the safety of maritime navigation. Israel's kidnapping of people beyond its borders is an issue that must be faced by the international community. We call upon all NGOs to launch a campaign against the seizure by Israeli military authorities of Palestinians and others travelling in international zones or within other countries and their subsequent detention, trial, imprisonment and involuntary transfer. 1. We call upon all NGOs to launch a campaign against Israeli State terrorism and to demand the immediate release of hostages taken at sea. 2. We call upon the NGOs of the countries directly concerned whose territorial waters and/or flags have been violated, to pressure their governments to defend their sovereignty against Israeli attacks. Appealing to all States to take all appropriate steps to prevent terrorist attacks against various forms of public transport. Only the United States and Israel voted against this General Assembly Resolution. All other nations, including all of America's allies, voted for the Resolution. The Resolution mentioned no country by name, but the United States and so-called Israel must have decided that "the shoe fits" Israel because of its blatant acts of murder and piracy committed in foreign countries and on the high seas. The United States takes great pride in its history of leadership towards eliminating piracy as a scourge of peaceful maritime transit, yet it shamefully voted against UN General Assembly Resolution 42/59 on the instructions of then Secretary of State George P. Shultz and his legal adviser Abraham Sofaer, thereby violating the United States legal position and two hundred years of American efforts to develop international law against piracy. On 29 June, 1984, Israeli naval forces seized a Cypriot passenger ferry, the Alisur Blanco, in international waters off the coast of Lebanon. The sixty-three passengers aboard included fifty-six Lebanese national, three Palestinians, two Syrians, one United States citizen and one Netherlander. None of the 21-man crew were detained, but the Israeli authorities took an undisclosed number of passengers into custody and interrogated them. Four days later, five of nine passengers detained in Haifa were reported released to the International Red Cross. Among the four remaining kidnapped passengers was a twelve-year-old Lebanese boy, Mazin Masri, returning on holiday from school in England to visit his family in Lebanon. The Jerusalem Post reported that Mazin Masri's English schoolmaster wrote to the Israeli authorities to appeal for the boy's release. Masri and another kidnapped passenger, ' Az al-Din 'Uwaydat, were later reported released through the services of the International Committee of the Red Cross and escorted into Lebanon on 11 July. The Israeli authorities indicated that the two remaining passengers were brother and sister. It was assumed that the two were Palestinian nationals; however, a news blackout was announced as of 9 July, 1984 regarding the identities of those detained. A report carried by the Jerusalem Domestic Service claimed that the two remaining passengers had been plotting a "spectacular terrorist attack against Israel." And the same source reported that Israel's second-ranking representative at the United Nations claimed in a letter to Secretary-General Perez de Cuellar that the Israeli government acted in "selfdefence," describing the kidnapped passengers as "suspected terrorists." Published sources have not yet reported the fate of the two remaining captive passengers of the Alisur Blunco. Israeli naval forces captured the Khalil I on 29 March, 1985, while sailing from Cyprus to Lebanon. Six persons were abducted from the boat, held in Israeli administrative detention and denied contact with anyone. Prisoners from the Khalii I have testified that torture has been routinely inflicted on them while in Israeli prison. Three of the Khalil I detainees, Abdu Afandi, Riyadh Abd Al Haq and Mohammed Mahmud Darwish, were taken to trial at Lydda military court and each was sentenced on July 21, 1986 to 2 112 years imprisonment. A fourth detainee, Jihad Sahli, a Tunisian, was also sentenced to 2 years imprisonment but was deported after suffering a heart attack in prison. A fifth detainee, Sa'id Al Dammagh, was deported without trial. The sixth defendant, Habis Daghlas, was also convicted of having attempted to "infiltrate Israel" in 1981. He received the most severe sentence, 14 years imprisonment. During the abductions at sea, the Israeli navy confiscated the Khalid I passengers' valuables, including $50,000 from Mohammad Darwish and $12,000 from Habis Daghlas. Around midnight on 20-21 April, 1985, the Ataveros was sunk by an Israeli gunboat. Twenty men were believed killed in the attack, and Israeli naval authorities reported recovering only four bodies. According to survivors' accounts, an Israeli warship appeared near the Ataveros on the open sea, outside Israeli territorial waters. Without identifying itself, the warship ordered the Ataveros to stop. The Ataveros' captain turned the boat around and retreated towards the Egyptian coast. The Israeli warship then fired a missile at the Afaveros' engine room. As the boat stopped and began to sink, the Israeli warship fired automatic gunfire for the next fifteen minutes at the boat and the men who were in the sea. Then another missile was fired, hitting the side of the Ataveros. Five minutes later, the boat had completely sunk. Some of the passengers were able to don life jackets, but several could not and a number had been wounded during the shooting. The Israeli craft shined bright spotlights on the Ataveros as it sank, as well as on the passengers and crew struggling in the water. Survivors have recounted how the Israelis watched as some of the men drowned under the spotlights and then commenced shooting at them in the water. Then the navy vessels circled the survivors, creating intense waves which made it impossible for those men without life jackets, or other aids to remain afloat. Survivors have told of one group of men from the Ataveros who tried to rescue one of the injured by holding him on a plastic mattress. They have recounted how some of the men could be heard crying for help, then the voices would fade and cease to be heard. After three hours of struggling in the frigid, turbulent water under Israeli gunfire, the survivors were given the impossible order to swim toward the Israeli ships with their hands over their heads. In response to this order, some called out that they were carrying injured men, and the Israeli ships countered this with more shooting. The Israelis again commanded the men to keep their hands above their heads and move, one by one, to the Israeli ships. This meant that they wouldnot only riskdrowningthemselves, butthey would also lose the injured survivors they were struggling to keep afloat. "According to Lebanese sources, the Ataveros, sailing under a Panamanian flag, was attacked by an Israeli gunboat on 20 April 1985 at 12.00 a.m. Despite the captain's radio message that it was a civilian ship, a missile was fired from the gunboat which hit the middle of the Ataveros and sunk it. Twenty people were killed. The IDF spokesperson announced that some of those on board were arrested but refused to identify how many or to allow the International Red Cross to visit them. "The family of one detainee, Ahmad (Shahadah 'Awdah), identified him on a film screened on Israeli TV and asked Attorney Lea Tsemel to represent him. On 6 August 1985, after Tsemel failed to ascertain in which prison ('Awdah) was being detained, she applied to the Military Attorney General for details about his arrest. The Israeli authorities denied that ('Awdah) was in their custody. Only after a habeas corpus was obtained through the High Court of Justice, the authorities finally acquiesced and admitted that ('Awdah) was in their custody and being held under administrative detention. However, in the case of administrative detention, it is possible for the Defense Ministry to deny access to any lawyer who is not on the authorized list of lawyers. "Attorney Tsemel did not drop the case and recommended an Israeli lawyer from the authorized list to ('Awdah's) family: Attorney (Matti) Atzmon, from Jerusalem. Attorney Atzmon visited ('Awdah) and brought back a taped message to his family in which ('Awdah) said hello and thanked them for sending him underwear. The rest of the message was erased either by the lawyer or by the authorities. "Meanwhile, Attorney Walid Fahoum succeeded in obtaining the names of seven other detainees and getting power of attorney from their families. However, he was not given access to his clients because he is not on the approved list of lawyers. After many letters wereexchanged between Fahoum and the Military Attorney General, the Israeli authorities finally admitted that eight people captured from the Ataveros were in their custody under administrative detention." A month after the publication of that report, a charge sheet was submitted against Ahmad Shahadah 'Awdah (whose real name happened to be Ahmad ' Awdah al-Najjar) and the seven others. Attorney Tsemel was therefore allowed to visit her client in Ramlah prison and wrote a new report about what happened on the night of the attack against the Ataveros and afterwards. According to Ahmad 'Awdah's testimony, the Ataveros left Algeria with twenty-eight people on board — mostly Palestinian nationals. The ship was to land a commando group on the Israeli coast which planned to attack the Israeli Defence Forces (IDF) headquarters at Tel Aviv. Ahmad 'Awdah at-Najjar told Attorney Tsemel what happened to him personally.
' I don't know how to swim, but I had the opportunity to put on a life jacket. The sea was very rough and my friends helped me. From the moment the ship sank, we were in the sea for two to three hours. I remember the time exactly because one of my friends had a watch. I was with eight other people hanging onto a light piece of wood which was floating in the sea. The two who were wounded and did not have life jackets sank immediately. One of us (Nasir) Shadid, who is very thin, suffered a great deal from the cold, stormy water. We held him up for two hours. From all around we heard our friends' cries for help. "After one hour, we saw one of the life boats of our ship (which inflated automatically) not far from us. It was visible, despite the dark, because it has an emergency light. One of the people with me, Hussam Ahmad (Hiju'), swam towards the life boat in order to bring it to us. We saw him enter the boat and then get out in order to drag it towards us. It seemed that the Israeli warship saw it too and they began to shoot towards the rubber life boat until it exploded and sank. Hiju' was not killed because he was not inside the boat. It is terrifying to think what would have happened if, as is usually the case, people were inside the boat. 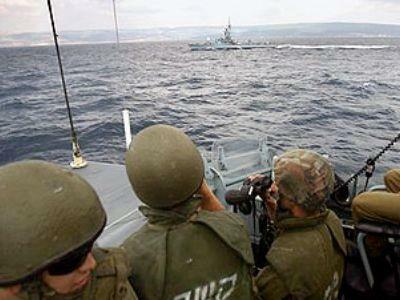 "After more than two hours, we saw the Israeli warship getting closer and it spotlit the whole area from afar. Then we heard shooting. I cannot say categorically that they were shooting at the survivors but we definitely heard shooting and shouting while the area was spotlit. "Finally the Israeli ship approached and shone a light on us and we were ordered to climb one after the other onto the ship. As soon as we were on deck they placed a sack over my head, handcuffed me and beat me." 'The fact that the eight survivors have been kept for more than a year-and-a-half in total isolation, that there is no way to be in contact with them, and that after such time there is still no trial, is very strange. Lawyers who are following the case raise the hypothesis that the Israeli authorities are trying at any price to hide what happened the night of the Ataveros sinking and how twenty people died." The testimony of Ahmad 'Awdah al-Najjar has confirmed these suspicions. In addition to the torture, solitary confinement and long administrative detentions, the capture of the Ataveros was characterized by grave violations of international conventions (to which Israel is also a signatory) concerning behavior on the open seas; the capture of a boat outside Israeli territorial waters, the sinking of a boat in international waters, retreating toward the Egyptian coast from the Israeli navy's advances, the refusal to help survivors stranded in the sea, and the almost certain murder of survivors. Zayn al-Din ('Adnan) al-Sayfi was believed to have been killed in the Israeli attack at sea on the Panamanian ship Ataveros. Twenty others were also believed to have been killed in this attack. Two passengers, Mustafa 'Uthman and 'Abd Al Rahman Abu Al Thani, were charged with plotting an operation against Israeli Armed Forces headquarters in Tel Aviv. They were each sentenced on February 15, 1987 to 20 years imprisonment. Two boat officers, Hasan Haju and Ahmad (Shahadah) 'Awdah Al Najjjar, were charged with plotting an operation against Israeli Armed Forces headquarters in Tel Aviv, and each was sentenced to 12 years imprisonment on February 15, 1987. Hasan Haju's appeal was denied on June 22, 1987. Four sailors, 'Abd Al Nasir Al Haj, Salim Samkari, Muhammad 'Abd Al Hafidh Muhammad, and Usama Sulayman Abu Harb, were charged with rendering illegal service and were each sentenced to 7 years imprisonment on February 15, 1987. On 1 July 1985, Israeli forces arrested two Palestinian passengers of the Hamadallah: Khalil Adib Khalil Anani received a sentence of eighteen months for membership in a banned organization, while Na'el Amin Fatayir, on top of the same sentence, was rearrested at his Nablus home, in the Israeli-occupied West Bank of Palestine, where he was issued a deportation order in January 1987. His appeal to the Israeli High Court of Justice was rejected, and he was deported in early July 1987. The Israeli navy seized eight paratroopers at sea on their way from Cyprus to Lebanon aboard the Ainadin 25 August 1985. They were travelling to Lebanon to serve in the defence of Palestinian refugee camps under attack by Lebanese militias. The eight were put on trial at Lydda military court in Israel, nearly a year later, in July 1986, and were convicted of membership in an organization banned inside Israel and for having received military training. Sentences ranged from two to eighteen years in prison. Riyadh Muhammad Salamud was sentenced to 8 years imprisonment. Abdallah Zamil Muslih, Munir Salem Jamul, Na'ef Salami Jamul, Mahmud Muhammad Al Taba, Fadi Hussayn Mansur, and Mustafa Musa Yusif were each sentenced to 5 years imprisonment. Muhammad Khalid Mustafa Al Khatib was sentenced to 2 years imprisonment and was deported. The Australian-owned yacht, Casselardit, was forcibly detoured to Israel and impounded by Israeli authorities on 30 August, 1985. Sixteen months after the Israeli navy forcibly boarded the boat in the international waters of the Mediterranean, abducting those on board, the eight passengers remained in Israeli prison without trial. The yacht's captain, Barry White, recounts that the Israeli navy forced him at gunpoint to sail to Israel. Israeli authorities claimed the need to impound the Casselardit as material evidence, though no incriminating material had been found on board. Mr. White had been operating a regular passenger and charter yacht service in the Mediterranean, which had been well advertised and represented by a prominent tourist agency in Cyprus. The passengers on his yacht boarded in Greece for passage to Cyprus. The case of the Casselardit has sparked attention in the Australian press and among some government officials there. Member of the Australian Parliament's House of Representatives Graeme Campbell (Labour, Kalgoorlie) took interest in the case and indicated that there was no doubt that the capture of the yacht by Israel was an act of sea piracy. Minister for Foreign Affairs Bill Hayden publically expressed the Australian government's helplessness in this case in that "Israel is a law unto itself." It has been speculated that the Casselardit was commandeered in error, as the Israeli authorities had mistaken it for a British yacht, Genda. The British yacht, Genda, was seized by the Israeli navy on 30 August 1985 in the Mediterranean, en route from Cyprus to Sidon, Lebanon. Its passengers were later charged with membership in the Palestine Liberation Organization, considered a punishable crime under Israeli law. Abd Al Karim Ali Al Fahum, Jihad Fakhri Al Bakri, Turki Sadiq Uthman Tubassi and Khaldun Dhaher Haju were each sentenced to 3 years imprisonment plus three years suspended sentence. Mitab Yusif Al Khatib was sentenced to 18 months imprisonment plus 3 years suspended sentence. He was deported on August 7, 1986 because he was ill and elderly. On 10 September, 1985 the Israeli navy seized an unknown ship, kidnapping and robbing Faisal Abu Sharkh. He was held under administrative detention from September 10, 1985 until June 1987 and was not permitted to see a lawyer. In June, 1987 he was charged at Lydda military court, and he is now legally represented by attorney Amnon Zichroni. For more than eighteen months his arrest was considered "Top Secret" and even the public mention of his name was forbidden. On 28 February, 1988 in his thirtieth month of detention, Abu Sharkh was sentenced to eight years. Faisal Abu Sharkh said $38,000 was taken from him at the time of his arrest. At his trial in June, 1987 more than two years later, the State prosecutor claimed the sum was stolen by the ship's captain. Abu Sharkh was sentenced to eight years imprisonment after having been held in administrative detention for 21 months before trial. An Israeli naval patrol chased and fired upon a Turkish vessel, the Laroz I, on 10 February 1986, killing Turkish Captain Suleiman Asker The vessel was seized in international waters off the Israeli-occupied Gaza District of Palestine. An Israeli gunboat charged the Laroz I, which was reported not to have been flying a flag at the time. Upon the advance of the Israeli boat, the Laroz I hoisted the Turkish flag, but the Israeli gunboat apparently ignored it. Captain Asker apparently did not hear the subsequent command from the Israeli gunboat to stop engines. The Laroz I proceeded on its course, but did not attempt to flee. It was then that the Israeli gunboat opened fire, killing Captain Asker. Protesting Israel's hostile action, on I8 February 1986, the Turkish Foreign Ministry summoned the Israeli charge d'affaires in Ankara, Yehuda Millo, to the Ministry to explain his government's behavior. Referring to the Laroz I incident, an Israeli military spokesman later stated, "All our anti-terror operations are carried out in international waters .... We only detain suspects, and innocent people never get here." The official Israeli account also claimed that Captain Asker had been killed by his own crew. However, the Laroz I crew testified that their captain was indeed assassinated by Israeli gunfire, and this was later corroborated by the autopsy report. The Laroz I, owned by Abdurrahman Ihsal and Ali Tasci of Trabzon, Turkey, is based in the port of Giresun, on the Black Sea. The 48-gross-ton vessel carried a nine-man crew. The Jerusalem Post reported that seven of the eight surviving crew-members were flown back to Istanbul (after having been detained for five days), while an eighth survivor of Palestinian nationality was being held further in.Israeli detention, but his condition was unreported. Turkish sources, however, identified the crewmen as being of Egyptian nationality. Subsequent press reports have yielded no further information on the disposition of the single non-Turkish crewman or the vessel itself. On September 1, 1986 the Israeli navy seized the vessel Amal, and one man was arrested. On 15 September, 1986 the Israeli navy captured the Anton and another small boat which allegedly sailed in tandem with the Anton. Two persons were seized and abducted from the small boat, and six from the Anton, including Sulayman Hils (Abu Walid), known to be a senior member of Fatah. The two who were taken from the small boat, Fathi Nimr Abu al-Khayr and Fathi Halimi were deported without trial in March 1987. In October 1986, Khalid Farrad, an Egyptian who was captain of the boat, was deported without trial. SulaymanHils (Abu Walid) was sentenced to 7 years imprisonment plus 3 years suspended sentence. His appeal was denied on March 12,1987. Arafi Muhammad Al Mughrabi was sentenced to 5 years imprisonment plus 3 years suspended sentence. Ahmed Abd Al Sisi, an Egyptian, and Muhammad Fadal Jadallah were each sentenced to 3 years imprisonment plus 3 years suspended sentence. Khalid Hamadi was sentenced to 2 1/2 years imprisonment plus 2 1/2 years suspended sentence. On 17 November, 1986 Israeli forces captured two fishing boats inLebanese watersnearsidon, withcargoes of clothing, food, weapons and blood supplies. Three men were arrested at sea, transferred to Israel and sentenced on 1 June 1987, at Lydda military court. Two men rode in the first boat, and the third man followed in another small boat. The men were en route from Beirut to Rashidiyyah when they were surprised by an Israeli navy patrol. The Israelis forced the two launches to navigate southward toward Naqurah (Rosh Hanikra), aport in Israel. From there they were forced to proceed to Haifaport where they were arrested, put into dungeons and tortured. In interrogation, the men told their captors that they were only trying to help their besieged relatives in the refugee camp. One of the men met the other two by chance, and joined in order to help an injured relative from Rashidiyyah to be treated in a hospital. It should be noted that this and other Israeli attacks and abductions at sea - including the case of the Maria R - took place during the siege of Palestinian refugee camps by Amal forces in south Lebanon. Such interceptions by Israeli forces to prevent civilian persons from visiting relatives or delivering relief and supplies to the refugee camps in Lebanon are believed to be common, especially during the "war of the (refugee) camps." Of the three abducted men, Muhammad Hasan Ahmad al-Jarnal, Diyab Mahmud Sa'adi and Ali Ahmad Fa'iz al- Jamal, the first two were convicted of "membership in Fatah and possession of arms." Their sentence was eight years in Israeli prison. The third was charged with rendering aid to Palestinian refugees besieged by Amal forces in Rashidiy yah camp, in Lebanon. This earned him sixteen months imprisonment and eight months suspended. On 4 December 1986, Israeli naval forces captured a fishing boat off the south Lebanese coast and kidnapped two persons on board. Ahmad Khalil Hasan was sentenced to eighteen months for membership and an attempt to render services to Fatah. Sulayman Hamaydi was sentenced to seven months for attempting to render services to Fatah. The Israeli navy stopped the Maria R at sea early on the morning of 6 February 1987, several kilometers off the Cyprus coast, near Lanarca. The Honduran-flagged ship with an Egyptian crew had left Lanarca on the morning of 5 February. After sailing for six hours, the Maria R took on supplies from another ship and resumed passage toward Lebanon. At 2:30 a.m., on 6 February, Israeli naval forces stopped the ship and, calling the captain by name, inquired as to the ship's type and speed. The captain responded and was instructed by the Israelis to follow them at the highest possible speed. When the captain objected on the grounds that this would overheat the engine, the Israelis threatened him, saying: "Better that the engine (burn) than your head." After following the Israeli patrols to a point several additional kilometers from Lanarca, the Israelis forced the Maria R's fifty passengers (most of Palestinian nationality) to disrobe down to their underwear. (The Israeli abductors apparently did not detain the Egyptian crew members.) Leaving all their possessions (including identity papers) and clothes behind, the passengers were forced to jump into the sea and swim to the nearest Israeli vessels where the sailors stuffed sacks over the heads and cuffed the hands of their captives. Still about one mile inside Cypriot territorial waters, the victims were beaten and tortured while the Israelis looted their possessions from the Maria R.
Among the possessions stolen from the passengers by the Israeli captors were currency, documents, gold and other miscellaneous items. A partial inventory of stolen goods is available. It is possible that more items and amounts of money were taken as booty; however, further details have not yet been verified. While held on board the Israeli navy vessels, the detainees were transported to Haifa harbor, and then to unidentified military detention centers in Israel. On 11 and 12 March, the detainees were gathered together and brought to Atlit detention center, where they met delegates of the International Committee of the Red Cross. Afterwards, some detainees were transferred to Ramlah prison. Some of the detainees who are represented by attorney Walid Fahoum maintain that they were returning to Lebanon as civilians, following stays abroad for work. Some had previously worked in military installations, but in civilian capacities. To date, none of the fifty captured passengers have been charged with military action against Israel, nor with any planned military action. The principal charge against them is membership in the PLO. None have denied their previous military service, which is mandatory for Palestinians in Lebanon; none of the passengers were armed at the time of seizure. All maintain that they were en route to Lebanon to rejoin their families when Israeli forces kidnapped them in Cypriot waters and charged them with having received military training, which Israeli law determines is illegal. It is well known that young Palestinians living in Lebanon are conscripted into service with the Palestine Liberation Army (PLA), like other young men who are conscripted into national military service all over the world. In the case of the Maria R passengers, these young men were returning to Lebanon and had already completed their military service. As in the case of any other Arab country. young men returning to Lebanon would be required to present, upon entry, certification of their having completed such military service obligations. Among the detainees of the Maria R, Taysir Khalid Shahadah Abu Kamal received the longest sentence, 6 years imprisonment plus 2 years suspended sentence. The next 1 longest sentence was given to Hasan Ahmad Ali Abu Lawz, 1 years suspended sentence following the failure of his appeal. Fayiz Rifq Urabi Hamdan, Ali Hasan Asfur and Muhammad Adnaan Said Khalaf were each sentenc ed to 4 years imprisonment plus 4 years suspended sentence. Majdi Muhammad Ghul was sentenced 3 1/2 years imprisonment plus 3 1/2 years suspended sentence. Rifat Abd Al Rahman Salami, Musa HusaynThaljiy yah, Tala1 Muhammad Ibrahim, Hasan Ali Muhammad Amin and Zuhayr Abd Al Qadir Muhammad Khatib, Shahadah Slamah Ghusay, Jihad Abdallah Miflah Abu Layl, Yasir Ibrahim Abu Sa'id, Adib Sha'ban Harzallah and Muhammad Sa'id Ali Omar were each sen- - tented to 2 1/2 years imprisonment plus 2 1/2 years suspended sentence. Khalid Na'im Zubaydah, Issam Saleh Muhammad Haj Omar, Adnan Salim Hamzah, a Syrian, Khalid Yusif Qaddurah, Taysir Hidri, Dirar Ahmad Ali Da'ud, Shahadah Mahmud Shahadah, Shuqayri Ahmad Attar, Fallah Hasan Abu Shillah, Mazin Ali Abu Shayban, and Hani Amin Khalidi were each sentenced to 2 years imprisonment plus 2 years suspended sentence. Samir Naji Abdallah Wahbih, Fursan Muhammad Zakariyya Tanbur, Yasir Ali Muhammad Hamayd, Rifat Awad Ibrahim Taqatqa, Salih MuhammadTaha and Muhammad Ibrahim Luwaysi, a Senegalese, were each sentenced to 1 1/2 years imprisonment plus 1 1/2 years suspended sentence. Abdallah Khalil Maghari, Said Aqil Id, Haydar Salim Mahmud Dimasi, Ahmad Hasan Bilal, and Khalid Ahmad (Fayiz) Sakhnini were each sentenced to 1 year imprisonment plus 1 year suspended sentence. Riyadh Mustafa Uthman was sentenced to 9 months imprisonment plus 9 months suspended sentence and was deported. Jamal Nimr Ali Issa and Khalid Salim Abu Qasim were each sentenced to 6 months imprisonment and deported. Sentences given to Mahmud Sadiq Abu Zayd, Ali Yusif Shinnawi, Mahmud Ahmad Abu Kul and Muhammad Jalal Hilayhal were unconfirmed. Sentencing was postponed for Yahya Mu'ath Ismail Dirbas, Hamidah AH Burha Hamidi, and Hasan Husayn Shu'ayb, the latter seeking medical release because of an old spinal injury. Total: $34,320; 1,180 Pounds (British), DM200, 220 Lebanese lira, three watches and miscellaneous jewellery of unspecified value.